Wellington, FL - December 4, 2010 - The $50,000 FEI World Cup Grand Prix, CSI 2* was the feature event this week at the Holiday & Horses Show, held at the Palm Beach International Equestrian Center. Scoring his biggest grand prix win to date was Brazil's Paulo Santana on Taloubet, owned by Jennifer Santana. Charlie Jayne of Elgin, IL, was second on The London Group's Athena, while Kate Levy (USA) rode Lirving du Volsin, owned by Christian Woschenko and Kate Levy LLC, to third place. The Holiday & Horses Show is the first competition in the Equestrian Sport Productions (ESP) Holiday Series, which consists of seven shows through the beginning of January. The Holiday & Horses Show runs through Sunday, December 5. The course designer for tonight's grand prix was Anthony D'Ambrosio of Red Hook, NY. There were 39 entries in the grand prix, but only three could find the key to a clear round and advance to the jump-off. The fastest four-faulter in fourth place was Mario Deslauriers (USA) on Jane Clark's Vicomte D. Fifth place went to Kent Farrington (USA) on Valhalla, owned by Hillary McNerney. Jayne said of the course, "I thought it was a great course tonight, and I thought it was very fair. The time allowed was perfect. I thought it was a horseman's course because you really had to ride what your horse liked." Santana and Taloubet, a 10-year-old KWPN gelding by Baloubet du Rouet, were the first to go clear in the first round out of the seventh spot in the order. They returned first for the jump-off and were speedy around the course. When they made it through the tricky combination into the corner, Santana pushed through the final rollback and down the long run to the last oxer on course. They stopped the timers with another clear round in a time of 44.44 seconds. "I know that Kate and Charlie are really fast riders. They are jumping this level all the time. I had to set the pace," Santana said of his jump-off plan. "If I was just going for a clear round, I knew it would be beatable. I decided to run fast and I took my risk for the double combination because I was thinking that would be my problem. When he went clear then, I just had to run. Then they had the responsibility to run." Following them into the ring were Levy and Lirving du Volsin, an 11-year-old Selle Francais gelding by Fergar Mail. They pulled a rail at jump number 5 and then again at 7b to finish with eight faults in 49.69 seconds. The last chance for someone to catch Santana was Charlie Jayne on Athena, a 10-year-old Belgian Warmblood mare by Toulon. They went easy through the beginning of the course, which included a tall wall, and then put on the speed through the second half of the shortened course. It was not enough however, as the crowd saw the scoreboard read 45.02 seconds with no faults. "(Jumps) one, two, and three was where I was a little slow," Jayne admitted. "My plan was to try and win it more in the turns than the actual galloping. I think in this jump-off you needed a little of both and I underestimated that." Jayne was very pleased with his horse's performance, and said that his little mare keeps "progressively getting better." He added, "After I opened her up and went pretty fast with her on Thursday, I thought she came back and handled this great. It was bigger and she felt great." Santana, who is originally from Sao Paolo, Brazil, moved to Wellington, FL, last year and says his biggest supporter is his wife Jennifer. "She's the one that I owe everything," he expressed. Although he has been riding Taloubet for three years, it took time to get the horse's mind ready for the show ring. After sending the talented gelding away to another trainer, the horse returned with "a different mind, no more stress," he said. They won a smaller grand prix recently and have now notched their biggest victory. "This was a big one and he gave everything I needed. I'm really happy," Santana said. For Santana, the win in a World Cup qualifier in the United States was a big accomplishment. "Considering the level of the competitiors we have here, people like Mario Deslauriers, Pablo Barrios, Margie Engle, and lots more of them, they really set the course strong," he described. "When you can go to a class like that, on this level, in this arena, and you can make double clear rounds against all these big sharks, it always makes you happy." The Holiday & Horses show concludes tomorrow with the feature hunter competition, the $20,000 USHJA International Hunter Derby in the International Arena, with the first round starting at 12 p.m.
Equestrian Sport Productions would like to thank the sponsors supporting this year's Holiday & Horses show: Farm Vet, the "The Official Equine Care Provider," Equine Tack & Nutritionals, "The Official Horse Health Supplier," Wellington Equestrian Realty, Rob and Chris Desino, "An Official Realtor," Illustrated Properties, Carol Sollak, "An Official Realtor," Dever, "The Official Golf Cart Provider," Brook Ledge, "The Official Horse Transportation Company," Arenus, sponsor of "The Arenus Low Hunter 2'9" Division," Reist, "The Official Drag," Pine Hollow, an "Official Sponsor," Camping World, the "Official RV Sales and Rental," Palm Beach Equine, "The Official Veterinarian," Elite Equine Shavings, "The Official Shavings," Pennfield Corporation, "The Official Feed," and Beval, an "Official Sponsor." A-T Children's Project Benefit - January 5-9, 2011 - "AA" Rated and Jumper Rated 3 with $25,000 Grand Prix on Saturday evening at 7 p.m.
All "A" and "AA" shows in the ESP Holiday Series will include $10,000 Open Jumper Stakes classes and Hunter Classics. The Equestrian Sport Productions Fall Series shows are all USEF, North American League, and Marshall & Sterling League approved. 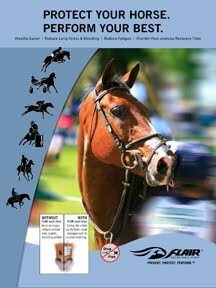 As always, the added convenience of online entries and live ring updates are available at http://esp.showgroundslive.com. 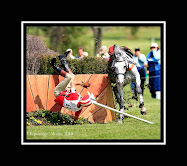 For more information on Equestrian Sport Productions and their horse shows, please visit www.equestriansport.com. Paulo Santana and Taloubet won the $50,000 FEI World Cup Grand Prix, CSI 2*. The presentation included Equestrian Sport Productions Director of Sponsorship Meg Krueger and ESP President Michael Stone. Photos © Jennifer Wood Media, Inc.